BiopSafe® is an innovative solution for carrying out biopsies in a safe manner, without the exposure to the harmful and carcinogen formaldehyde. The smart system consists of a small, practical container with a formaldehyde-containing capsule in the cap. All operations take place within the container, ensuring that no formaldehyde is released and the safety of your staff is guaranteed. 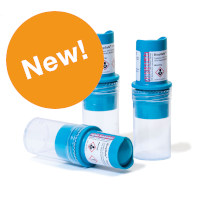 Order BiopSafe now temporarily with 25% introductory discount*. Go to www.apg-biopsafe.com, fill in the coupon code ‘BIOP25’ within your shopping cart and order your BiopSafe now. *This discount code applies until Sunday 31 December 2017 when ordering at least one package of 192 pieces. Up to one coupon code per customer. A new family has been added to our glass range. With 3 new standard bottles and 2 standard jars the new Ellipsea range is a true eyecatcher. The range consists of three glass bottles with an oval shape. These are availble in 30ml, 50ml and 100ml volume and all have the standard GCMI 20/410 screw thread to match a wide range of standard closures. 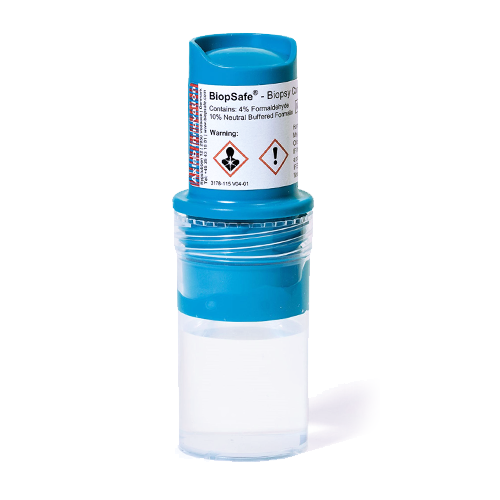 In addition to the 20ml biopsy container, BiopSafe is now also available in a 60ml version. Very useful if you need to store larger tissues in a safe way. BiopSafe is an innovative solution for carrying out biopsies in a safe manner, without the exposure to the harmful and carcinogen formaldehyde. The smart system consists of a practical container with a formaldehyde-containing capsule in the cap. This 200ml HDPE bottle has a classic, conical design. Due to the flat flip top cap it can also be stacked upside-down for better stability. The Sevilla bottle is the perfect bottle for bathroom products such as shampoo, conditioner, or lotion. Also the combination with the flat bi-color flip top cap gives the possibility to stack the bottle upside-down ensuring a better stability on shelves. New references have been added to Verbeeck's Flip Top Jar range. Now this range consists of jars from sized from 10ml to 400ml. The contemporary and classic looking single-walled PP jars with patented snap lock flip top lids offer so many advantages compared to standard PP jars. The summer of 2016 will be in the light of the UEFA EURO 2016 Championship in France and as usual such an event generates a huge turnover in event related merchandise and promotional products. Belgian company, Verbeeck Packaging offers a wide range of standard bottles and jars which are the perfect packaging for soccer related products. What is a better way to offer gifts, sweets, chocolates or other products during the Euro 2016 Championship than in a soccer ball shaped jar? Verbeeck Packaging has collaborated with Dutch model, entrepreneur and social influencer, Negin Mirsalehi for the successful brand launch of 'Gisou Honey Infused Hair oil'. As one of Holland's most influential and popular bloggers, Negin needed high-end luxury packaging to market and sell her product. Verbeeck Packaging Group has been taken over by Aluglas Packaging Group. 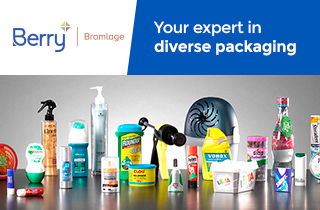 The acquisition by the Dutch packaging company Aluglas Packaging Group and represented by Indutrade-Benelux took place on January 1st 2015 and is a strategic move by Verbeeck in order to have the opportunity to expand within the European market. As a result of the partnership, Verbeeck is greatly expanding its entire product portfolio. Verbeeck Packaging Group has been taken over by Aluglas Packaging Group. The merger of two companies always has consequences. It raises questions, and we think it is best to answer those straight away. Verbeeck's fun and playful "Soccer Trophy" has a volume of 900ml and is produced with a 63 RTS neck finish. If required, the firm can supply the PET jar with a suitable closure. Additional volumes can be contemplated, as the company seeks to provide clients with precisely what they need! Verbeeck Packaging Group introduces a new standard 63mm grinder. With a 63mm neck diameter and screw thread, the grinder fits a large number of standard available reusable PET jars. It is an ideal packaging solution for food service and catering, but also very handy for the BBQ at home. Whether looking for high end luxury cosmetic packaging or wanting to distinguish a product through an ecological / environmentally friendly image, this wood range is an ideal packaging solution. Verbeeck offers a complete gamut of wooden packs that can even be colour customized to meet branding needs. Chicago-based beauty product company Biocare Laboratories has reduced pack damage and cut costs by switching to Rieke Dispensing’s RS3 Swan pump for its Shea Body Butter Range. Verbeeck distribute Rieke's products in the Benelux region. This new, trendy design combines technology, design, novelty, simplicity and reliabity. The closure can be offered with a two colour design and the system in itself offers a clean and effective dispensing of the product. The Verbeeck Packaging Group has launched their new company website www.verbeeck.com with a huge product catalogue spanning over more than 3.000 products. Video : How does BiopSafe work?